Expires Feb 28th 2015, Not valid with any other offer. Must bring socks and signed waiver. Hoppin’ House is an 11 and under facility, Adults accompanying children are free. Hoppin’ House is the ideal place for your children’s imagination to grow! Hoppin’ House offers everything from inflatable slides, obstacles, and foam pit to a toddler area. 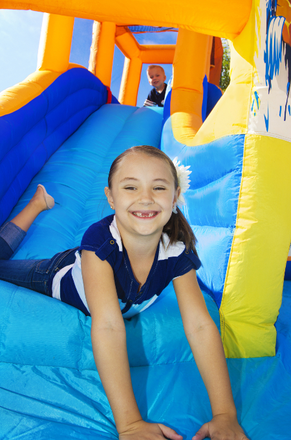 With a clean and safe atmosphere for kids to have fun! Hoppin House is an open bounce facility, with one visit you can bounce for as long as you like on the same day. Hoppin’ House was created to provide a safe and clean atmosphere for kids to play and have fun with facilities and equipment rentals to celebrate special occasions.